What a fun idea thanks to Sara over at Kovescence of the Mind: a product swap! I was lucky enough to switch products with Cassandra at Mrs 3rd Grade! 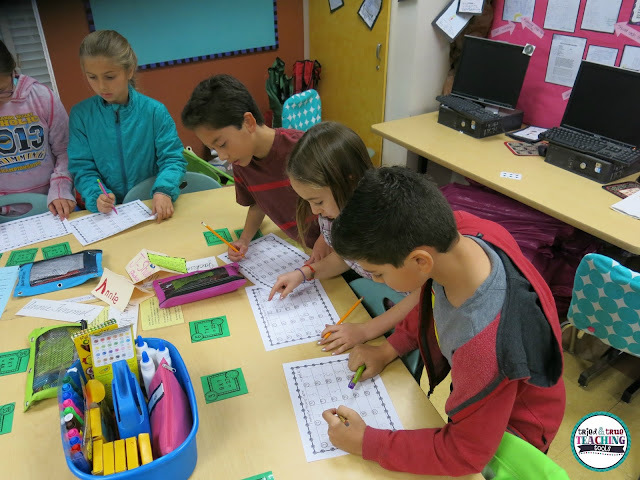 My class used her Twinkling Lights: Multiplication and Division Math Centers. 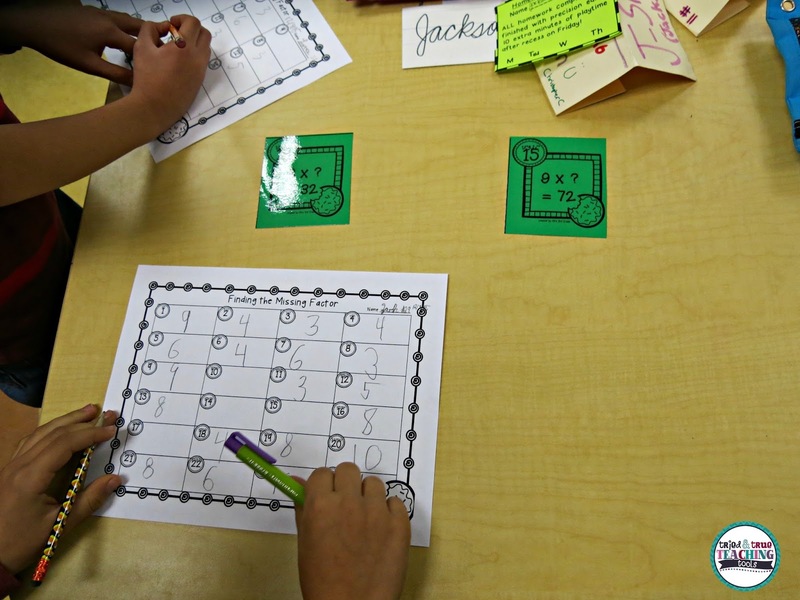 The kids loved using these centers: my fluent mathematicians used the math facts task cards like a speed SCOOT game, while my students who still struggle with knowing multiplication and division facts loved practicing fact families and missing factors. These simple task cards were just the right amount of practice for my fourth graders who are having difficulty with multi-digit multiplication and long division due to not knowing their facts. 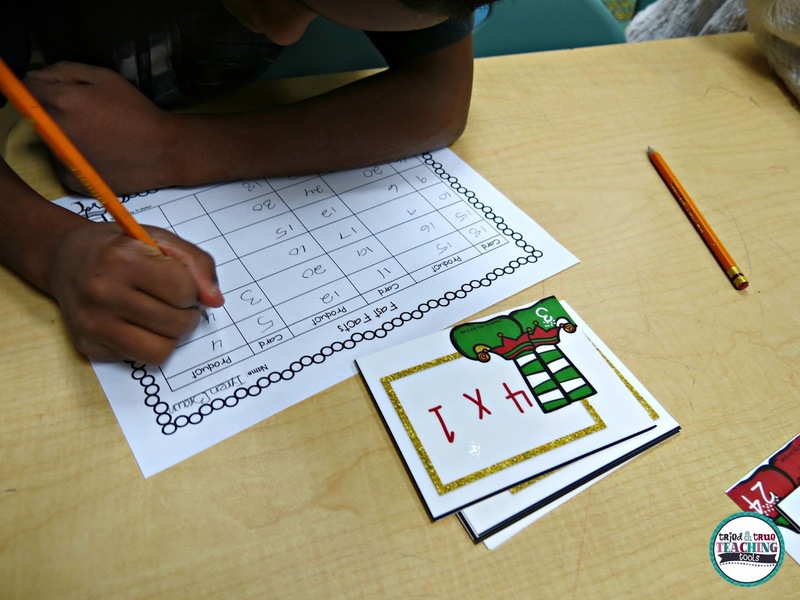 I'm always looking for new ways to practice basic math facts, while keeping kids engaged. This is a terrific product for practicing basic multiplication and division facts! I also appreciated that the cards were able to be printed in color or in black and white on colored cardstock (to save ink). I'm constantly impressed with TpT teacher authors and the creative ways they get students to learn. This is no exception! Thanks, Mrs 3rd Grade! Now click on the links below to find more product reviews. Be sure to enter the giveaway for the chance to win one of the products we tried! 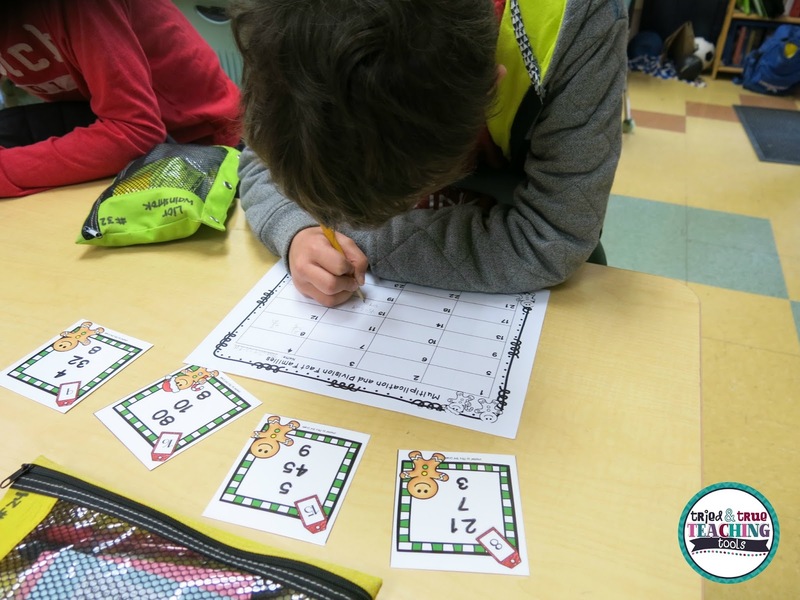 Great ideas for having students practise their multiplication facts and keeping students focused on their learning! Just a little change-up on how they practice seems to keep it fresh for my students! These task cards look perfect for my learning strategies class! I love that you teach a class on learning strategies!! What a perfect seasonal tie in. I might need these for my little who is just learning multiplication. Thank you for joining us. The task cards kept all my students engaged! Thanks for organizing the product swap!